Undoubtedly the men and women responsible for inhabiting Trek's greatest characters achieved iconic status thanks to their time with the franchise. But an actor's life is rarely summed up by a single gig. This week hosts Cam Smith and Tyler Orton recreate their 2017 Star Trek Las Vegas Con panel with an in-depth look at how certain hidden gem entries in key players' filmographies parallel their time in Roddenberry's universe. Did Brent Spiner's work in the HBO movie Introducing Dorothy Dandridge require the touch of an android with a positronic brain? 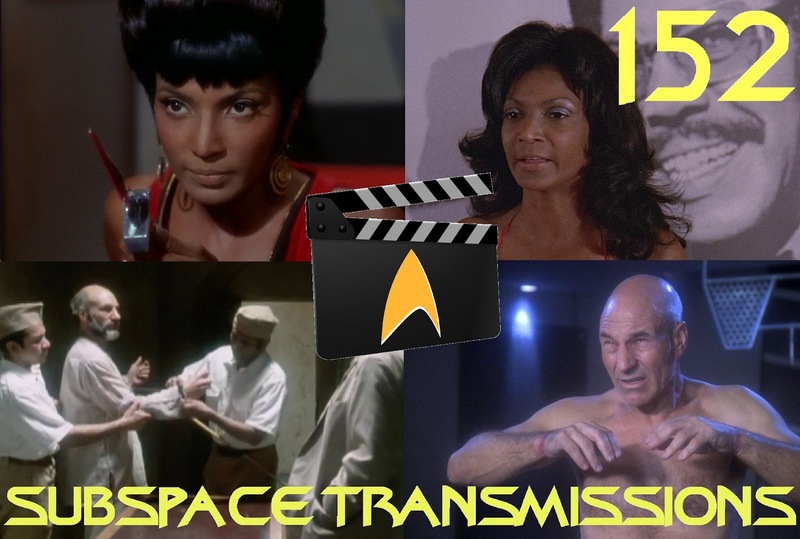 Could Mirror Universe Uhura have helped inform Nichelle Nichols' fiendish turn in the 1974 Blaxploitation hit Truck Turner? And what are the chances Patrick Stewart's Tinker Taylor Soldier Spy interrogation experience colored his tortured performance in Chain of Command? There's plenty to ponder, and some great film and television recommendations just begging for your attention! Wanna appear on the show? Shoot us a 30 to 60-second audio clip telling us what you think are THE BEST ACTING BEYOND STAR TREK ROLES and you could take the spotlight in an upcoming program! You can also send any other questions, topic ideas or feedback to subspacetransmissionspod@gmail.com! Join us next week as we recap our wild and wacky Star Trek Las Vegas Con experience!